MB-20 Features: Solid Steel Knurled Chrome Bar with rubber contoured grips and end caps. 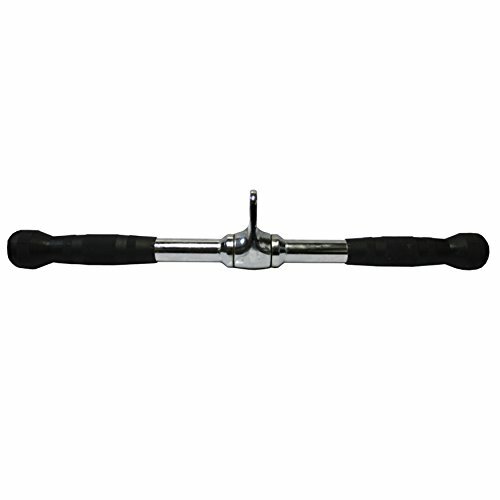 Rubber grips are positioned towards the end of the bar, but you also have the option to grip the bar on the steel. Swivel cable attachment allows the bar to rotate freely keeping the users grip firmly in one position.